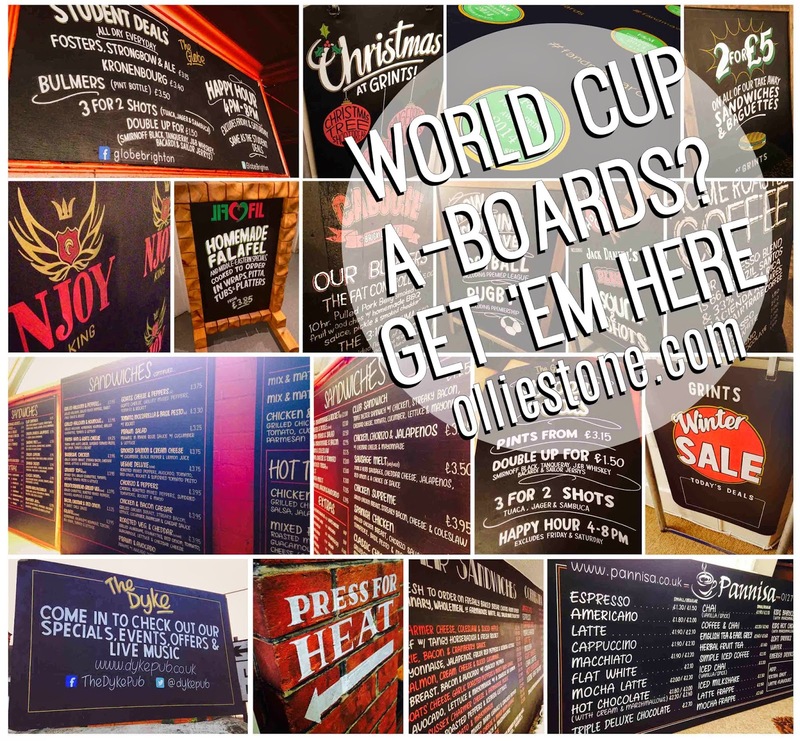 Blackboard Chalkboard by Ollie Stone: World Cup A-boards. Brighton. London. Sussex. Kent.